Learn How to Homeschool High School! 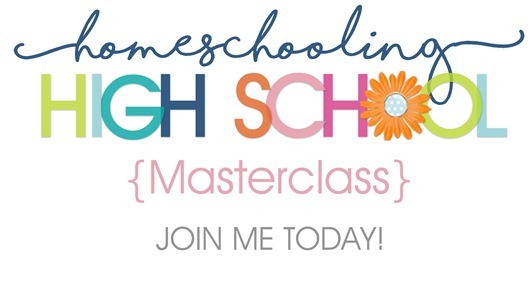 In this eCourse I’ll be sharing my tips to help you successfully navigate homeschooling through high school! If you’ve been thinking about homeschooling through high school but don’t know where to start you’re not alone! High School can seem so overwhelming that you don’t know where to start! But with my tips you’ll be able to successfully homeschool your student through high school, and help put them on the right path for their future endeavors! Need Help Homeschooling Through High School? How do I organize four years of courses to make sure we don’t miss anything? How do I help prepare my student to pursue their passion? How do I create high school transcripts? Will my student get a diploma? Homeschooling through high school can seem really daunting, but don’t worry in this class I’ll tell you everything you need to know to navigate these years successfully! Learn how to navigate through the tough high school years with confidence! This is a self-paced video eCourse that includes two video lessons along with BONUS downloads to help your high school experience be less stressful and help you feel prepared and confident in your choice to homeschool through high school. Once you join the course you’re welcome to download the materials and view the video lessons at your leisure making it super flexible to fit your schedule! The Confidence to homeschool your student! Learn what is required for graduation. Be confident that you are doing what is needed to help your student succeed. 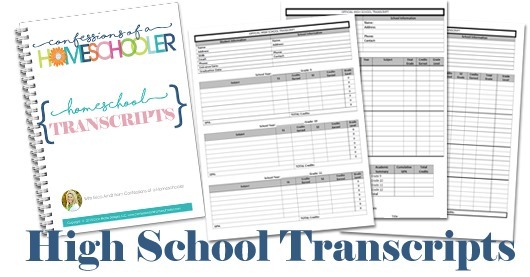 Learn how to create high school transcripts with my FREE HIGH SCHOOL TRANSCRIPT downloads! Learn how to create a course load that will help your student pursue their dreams! Learn where and how to get a diploma. Learn how to organize four years of courses to make sure you don’t miss anything! Learn all about SAT/ACT testing. BONUS!! Get my FREE High School Transcript Templates! I’ve added an EXCLUSIVE Bundle into this course as a freebie to help make homeschooling through high school less stressful! BONUS #1 – Two Video eCourses (20 minutes & 13 minutes) sharing my personal tips to help you be successful in homeschooling your student through high school! And start enjoying your high school journey!